bespoke furniture [mosaiced furniture collection]. 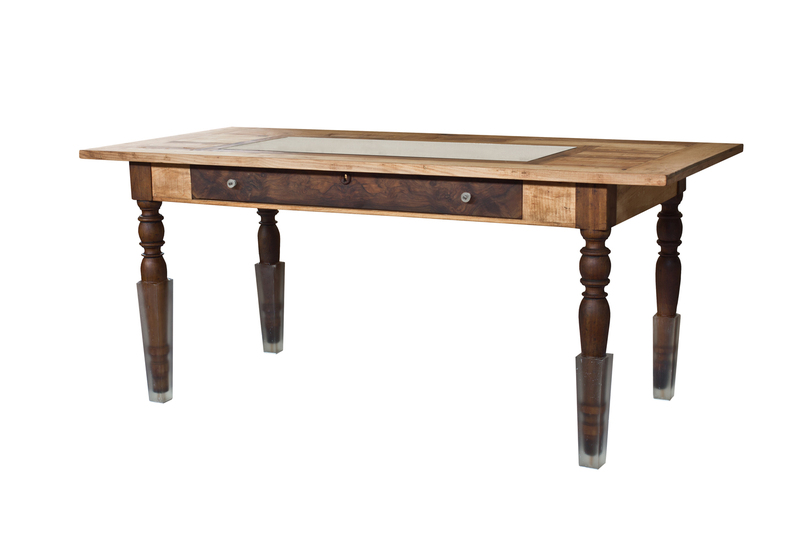 The mosaiced dining table is made of handcrafted old various woods and unique elements coming from the 19th century like the wooden table legs and the drawer which are immersed in resin. 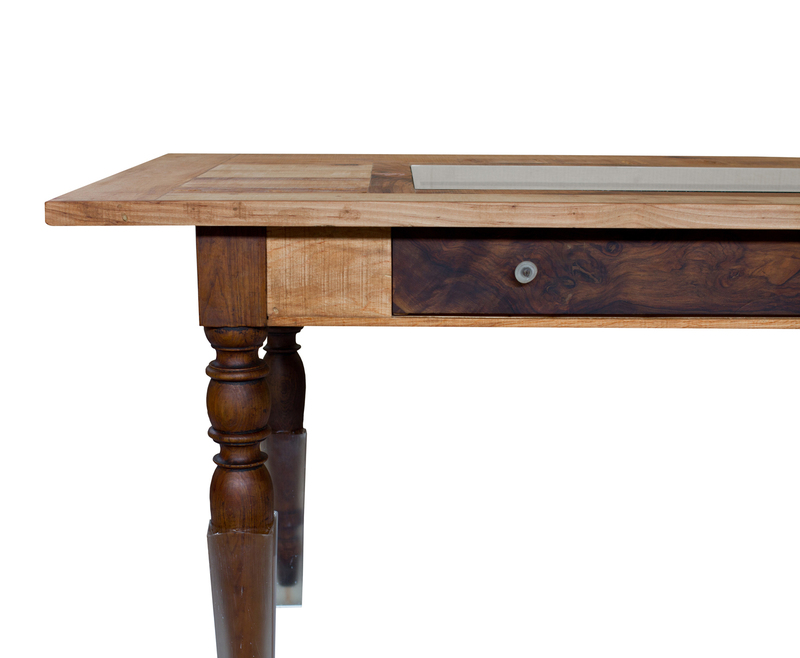 The idea of frozen water becomes visible through the use of the resin for the table legs and the mosaic inside the drawer revealing colours like blue, celeste and rosé. 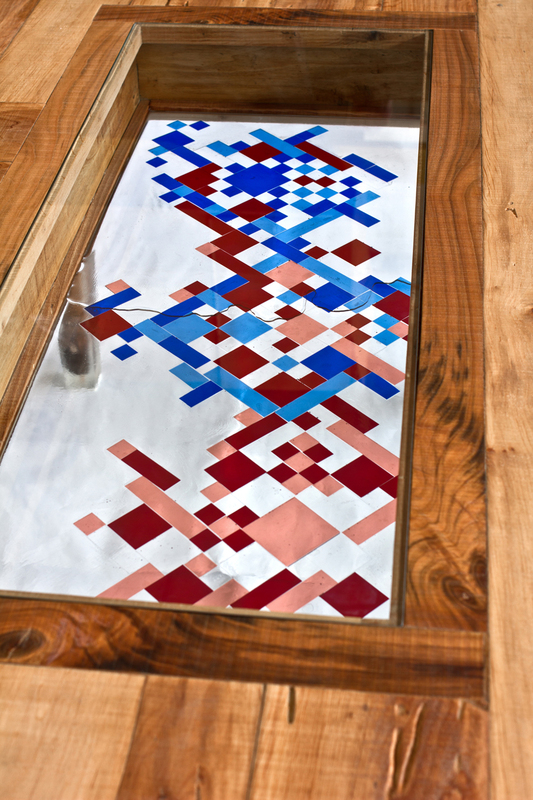 This transparent and colourful mosaic design on the bottom of the drawer refers to the Romanesque period and can be observed through the glass on the tabletop but also as a reflection onto the floor when a spot light above is turned on.